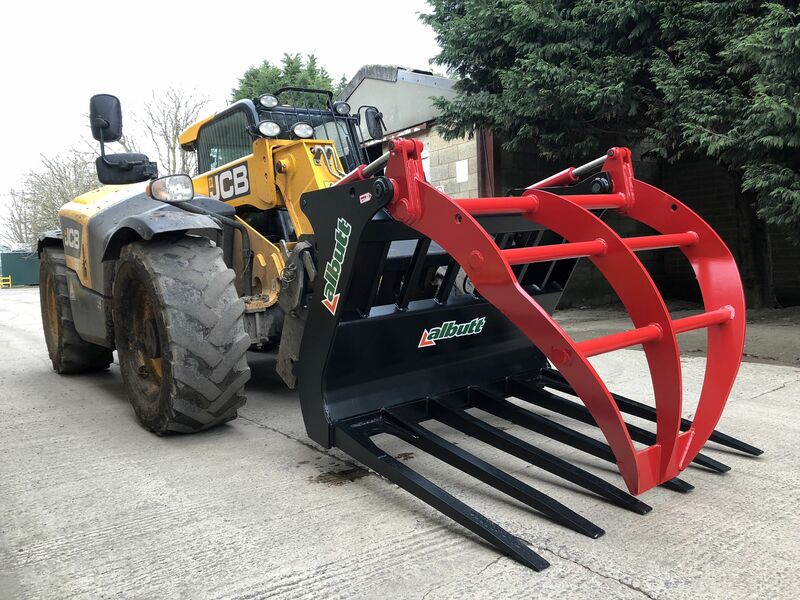 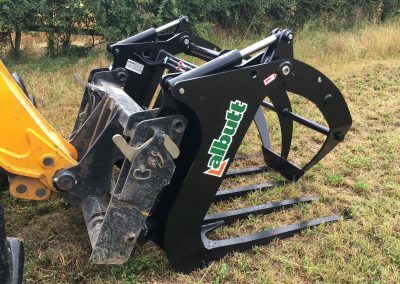 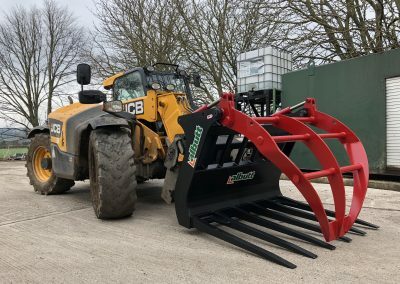 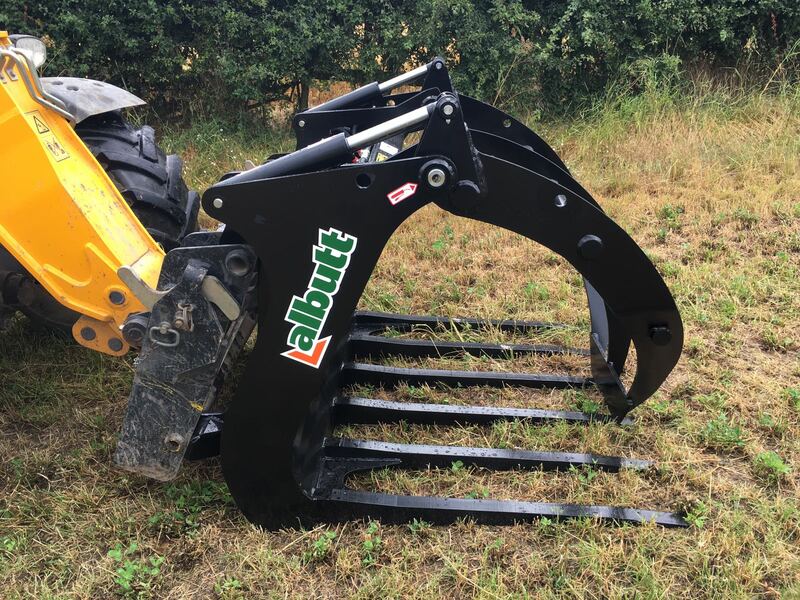 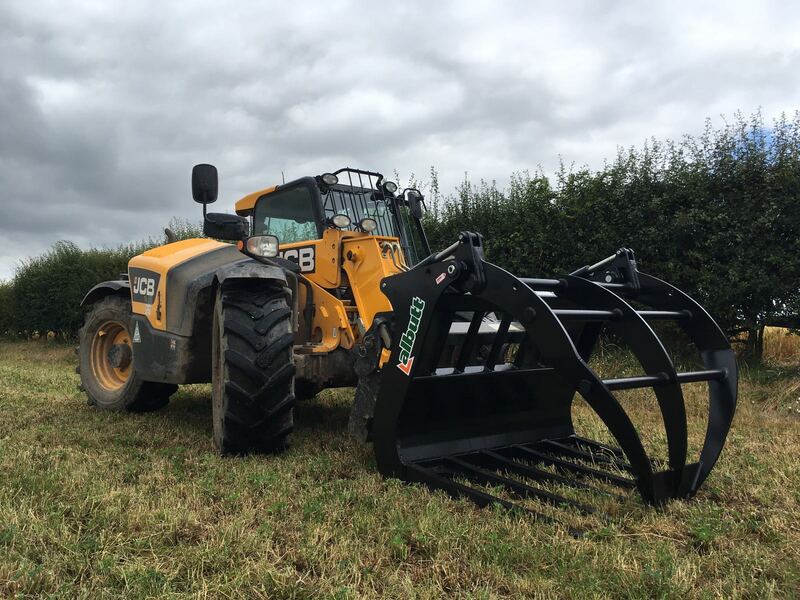 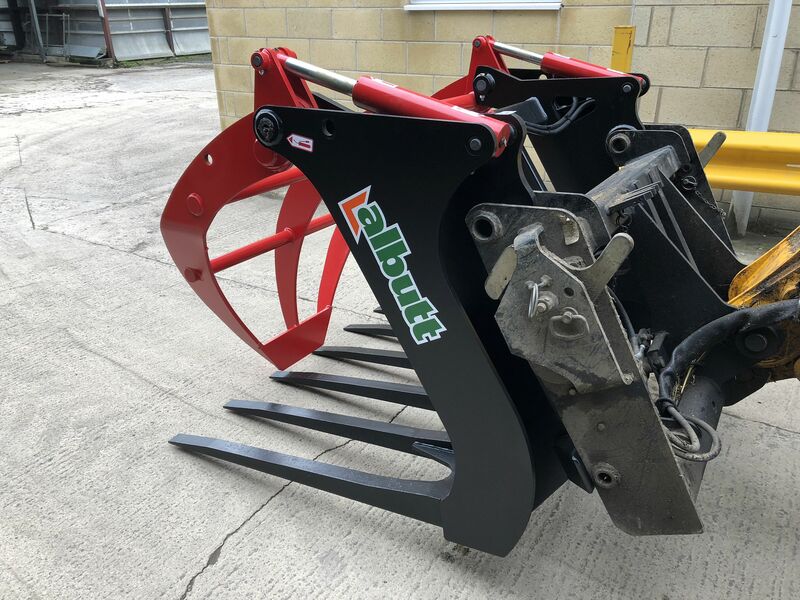 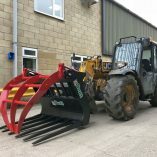 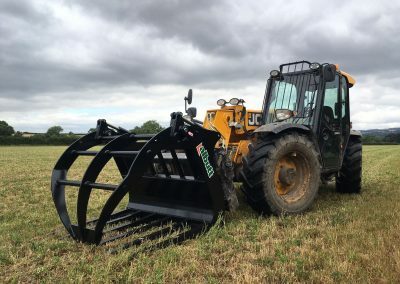 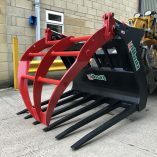 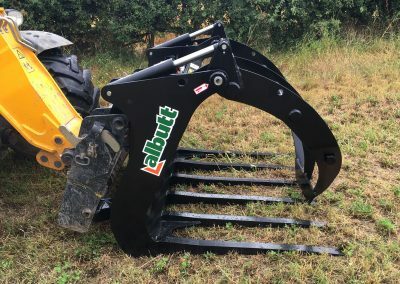 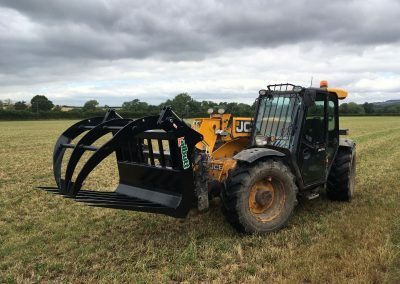 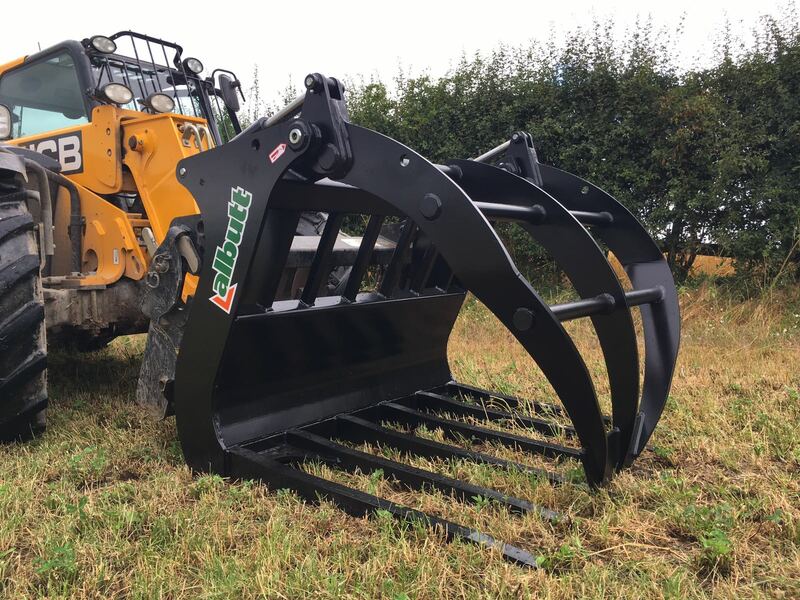 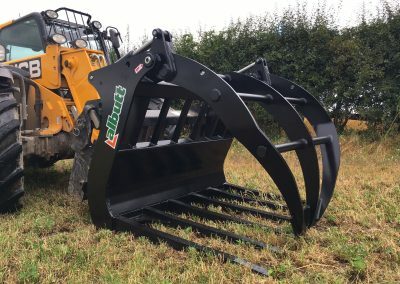 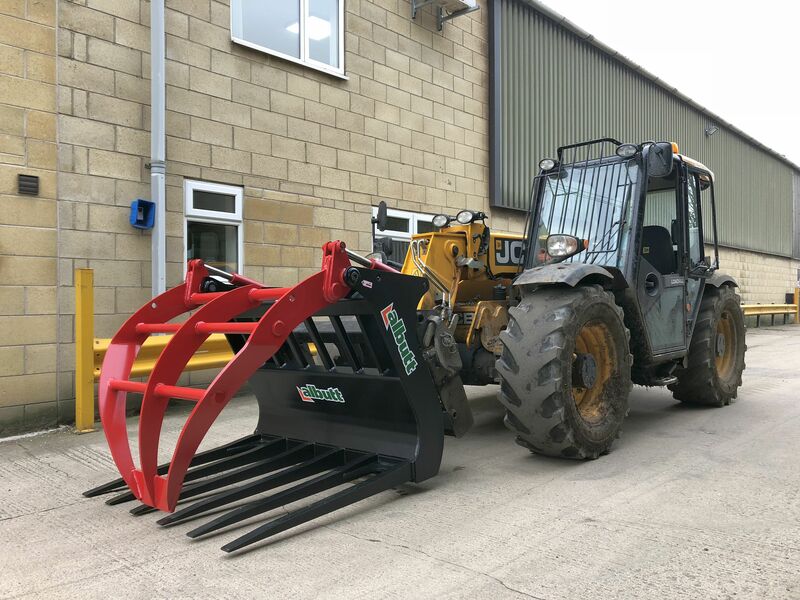 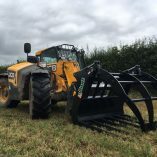 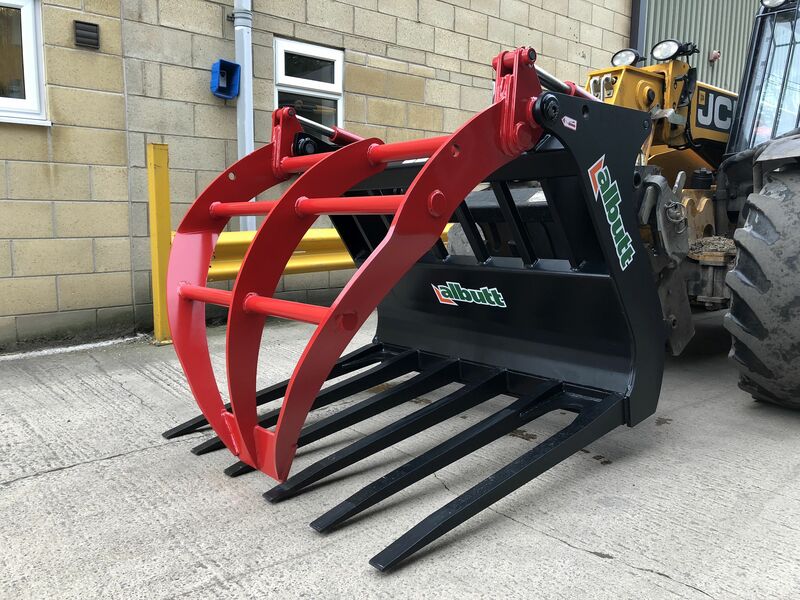 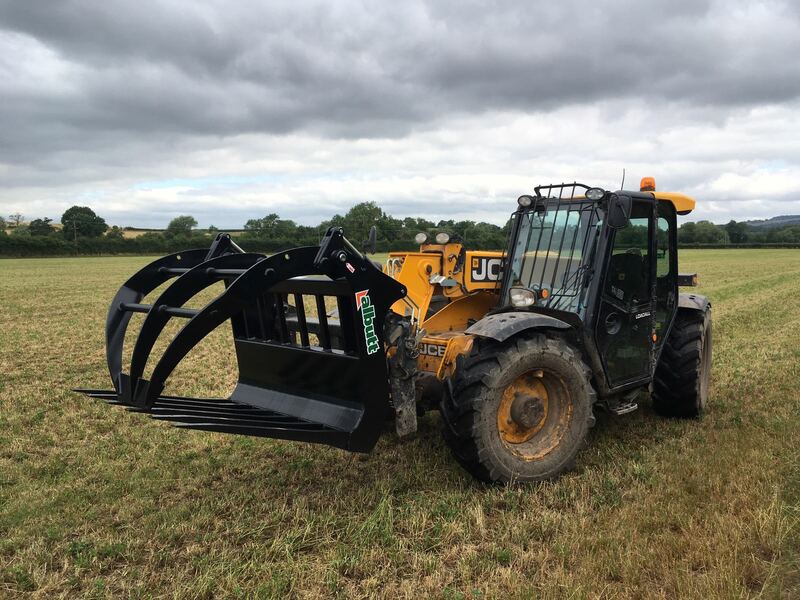 The Albutt Timber Grab features a unique beak design coming down onto genuine Hardox tines; providing an ultra heavy duty option to moving various timber sizes. 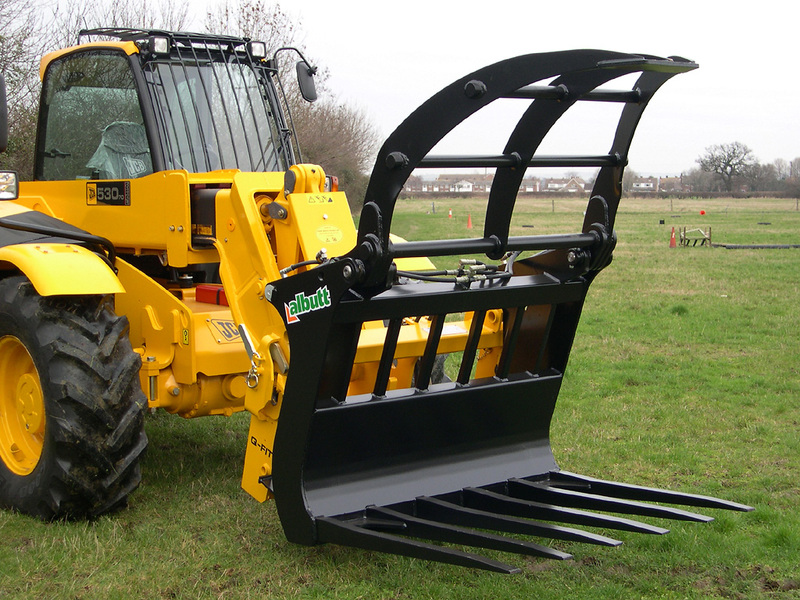 The high capacity rams mean a secure grip is achieved. 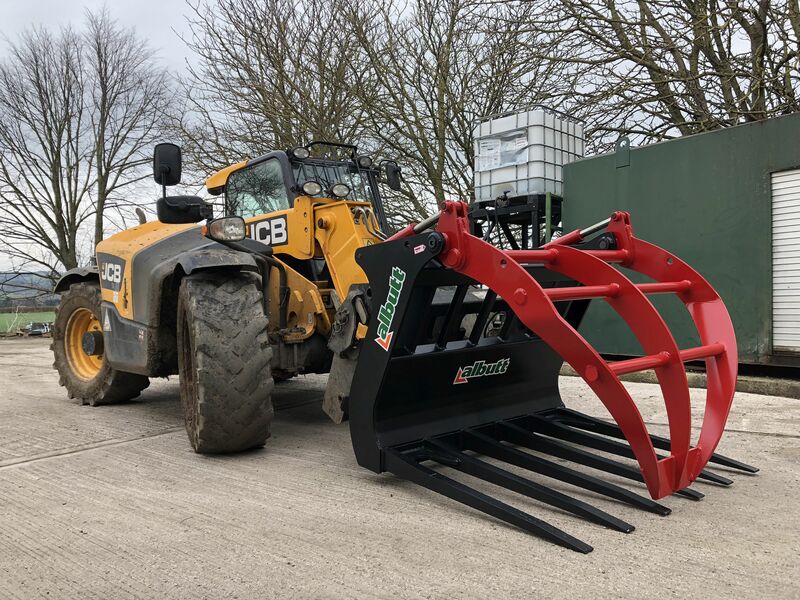 By utilising Hardox base tines rather than traditional twin profiles, the Timber Grab can work in harsher applications and also be used for other means.